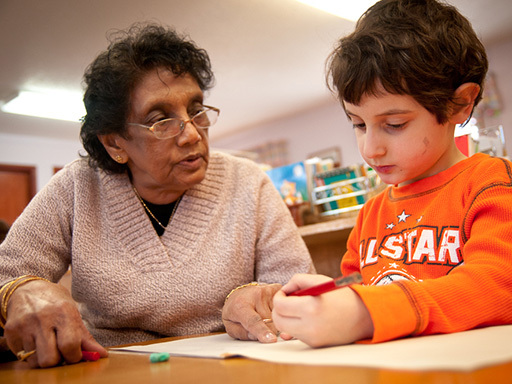 Maria Montessori recognized that young children absorb knowledge with more faculty than do older children. For that reason, children are enrolled at Sunnyside as early as age 2½ and may be 6 years of age upon graduation. The final year of the Montessori program is equivalent to kindergarten in the public and parochial schools. 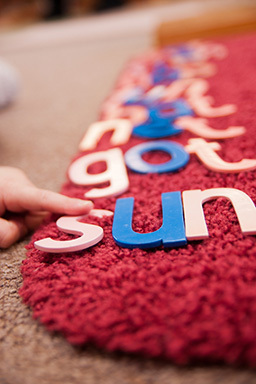 At Sunnyside Montessori, the student-teacher ratio in every classroom is 10:1. Teachers present lessons and then encourage, guide and help as needed. Freedom for the children to choose their own activities and work depending on their interests is paramount to the Montessori Method. Each child moves at his or her own pace according to mental, emotional and physical needs.There is time for creative expression, which allows children to grow as individuals and develop feelings of self-worth and inner security. Equally important, they are challenged beyond their present functioning to develop their fullest potential. Each child is nurtured, loved and cherished for the amazing person he or she is. The curriculum at Sunnyside Montessori includes instruction and exercises in Christian values, mathematics, language arts & skills, geography, nature & botany, and art & music. 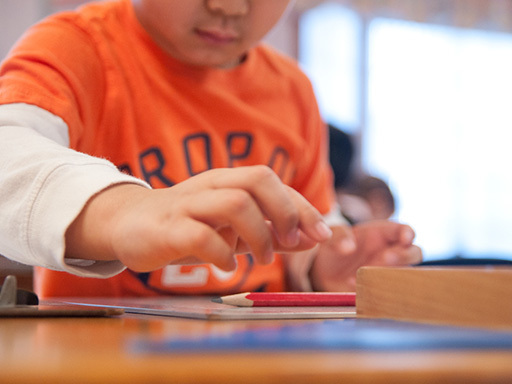 These subjects are taught utilizing Montessori-designed materials to stimulate self-teaching. 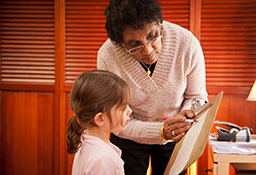 Integral to the Montessori process are work activities chosen by the children themselves. Work materials are kept in an orderly manner and have a fixed place in the classroom. After work or play, the children must replace their materials so that others know where to find them, emphasizing the values of sharing and orderliness. 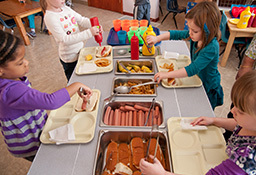 Hot lunch is prepared every day in the kitchen at Sunnyside Montessori. Lunchtime presents another opportunity for self-instruction and independence as well as lessons in etiquette. The children serve themselves from a specially designed food cart, which helps develop self-reliance and coordination skills. Snacks are served in the morning and afternoon with the children passing out napkins and cups—a task that further encourages cooperation and the willingness to help.